PROHIBITED ITEMS: No outside food or drink, portable chair backs, carts, tents, backpacks larger than 14”x14”x6”, coolers, umbrellas, air horns, megaphones, hard containers, poles longer than 12”, posters larger than 11”x17”, video cameras, cameras with detachable lenses greater than 6”, laptops, pets (except service animals), lasers, weapons, fireworks, skates, skateboards, cycles, recreational equipment, unauthorized solicitation, handbills, giveaways or samplings. • Parking is on first come first served basis – no reserving of parking spaces. • Tents are to be 10′ by 10′ or smaller (larger tents require a City permit). 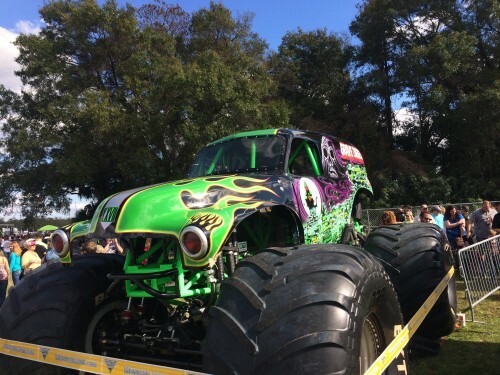 Hey Buddy!, I found this information for you: "MONSTER JAM 2015 ORLANDO IS SOLD OUT: Where to Park". Here is the website link: https://www.trippinwithtara.com/monster-jam-2015-orlando-is-sold-out-where-to-park/. Thank you.